It is important to first understand the difference between inbound marketing and interruptions. Inbound marketing involves the use of channels and tactics to earn your attention, rather than interrupting the flow. While surfing the web, whether you are using social media or doing online shopping, different types of media are constantly trying to grab your attention, these are known as interruptions. These forms of media can often aggravate users, in which negative associations can develop towards that business. Inbound marketing is all about generating attention naturally. Marketing channels such as SEO and PPC find answers to our questions through search engines like Google, Bing, and Yahoo. Content marketing and blogging are pages that we are interested in or want to read up on. There are many other ways to generate attention, for example, the use of social media, Emailing, videos and word of mouth. The use of social ads, pop-ups, and Paid e-mail lists all interrupt what the user is doing and have a negative impact on their online experience. It’s no surprise that interruption marketing converts at a lower rate in comparison to inbound marketing strategies. With this strategy, users have actively chosen to seek out a brand or website. Data has already proven that people who chose to interact with your brand naturally have a higher conversion rate. SEO is an online marketing strategy process that focuses on optimizing website content, in order to increase organic traffic on the search engine results pages (SERPS). Making sure that you have a great website and optimized content for SEO, will allow Google to identify your site and index your site pages for certain keyword searches. So why is SEO an important element for inbound marketing? For one, if your site can’t be found, then you’re not going to get any business. Although Pay per Click is a paid strategy, it is still a part of the inbound marketing family. Search ads appear when users actively search for something, where there is no interruption. However, there are aspects of the strategy that do not qualify as inbound, for example, display ads. PPC (link) adverts on search engines highlight how strong inbound marketing can be. Without useful content and a refresh, it will be very difficult to convert leads. Content should be developed, with the goal of answering your audience’s question or solving their problem. Developing content on its own isn’t enough. ‘‘Your content must educate, inspire or entertain your audience.’’ (Murray Newlands). Blogging is the perfect place to start. It a great way to attract new visitors, increase your retention rate of existing customers and convince warmer leads. In some cases, blogs can account for more than half of a site’s total traffic. Once you have created your content and uploaded it to your website, it’s time to put the word out. Social media is a fantastic platform to promote events, newsletters, and blogs. Creating content is great; however, if you’re not reaching the relevant people, then what’s the point. This comes under inbound marketing, as only people who want to see your content will follow your brand. It’s a great way to drive up organic traffic if your rankings are quite low. With a wide range of platforms such as Facebook, Twitter, Linkedin, Vine, Instagram or Periscope, Your audience is likely to have multiple accounts. It’s important to determine which platforms are the most relevant to your buyer personas. This will ensure that you’re reaching the right audience as well as generating as many leads as possible. Landing pages are where leads will land after clicking on your adverts; whether it’s a product page, a contact form or a subscription service page. Ultimately this is where potential conversions are made and lost. Ensuring that your landing page is of a high standard and easy to navigate, will increase your chances of making conversions. It’s important your adverts are clear and relevant and not misleading. If online users click on an advert from a paid search for bunny hats, your landing page should be selling bunny hats, not something else. What is your landing page designed to do? Is it trying to encourage visitors to sign up for a monthly newsletter or maybe download an online guide? Your page should focus on one specific goal and restrict navigation to other pages. The layout and design of the page are key to keeping the visitor’s attention and engagement. The use of images, videos and trust signals are all key design elements that can help improve your conversion rate on your landing page. 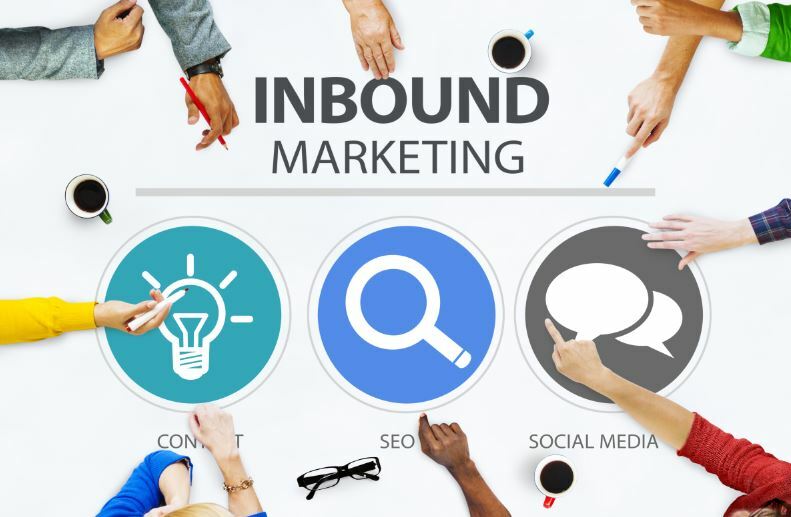 If you’re interested in setting up an inbound marketing campaign for your website or want to find out more, click here. At HeadRed we specialise in online marketing and web development and are happy to help.